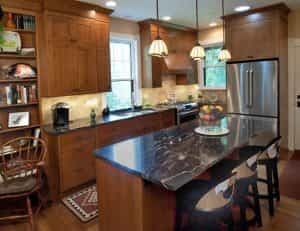 Family owned and operated since 1956, Beco Design is an all-inclusive design and build firm that has been creating quality kitchens and bathrooms in New Jersey towns such as Lawrenceville, Pennington, Princeton Junction, West Windsor and Washington Crossing. Our mission is to give our clients great value and beautiful design for their investment. 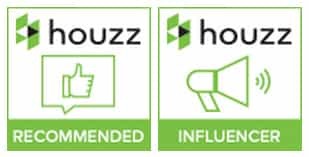 We have been Top-Rated and named as an Influencer on Houzz. 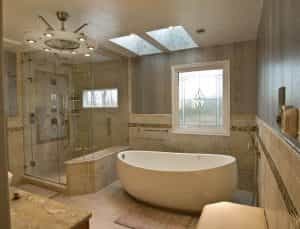 We provide quality kitchen and bath remodeling in Mercer County, Bucks County, Montgomery County, Monmouth County, and the greater Philadelphia area. We are centrally located right near Newtown and Yardley, PA as well. 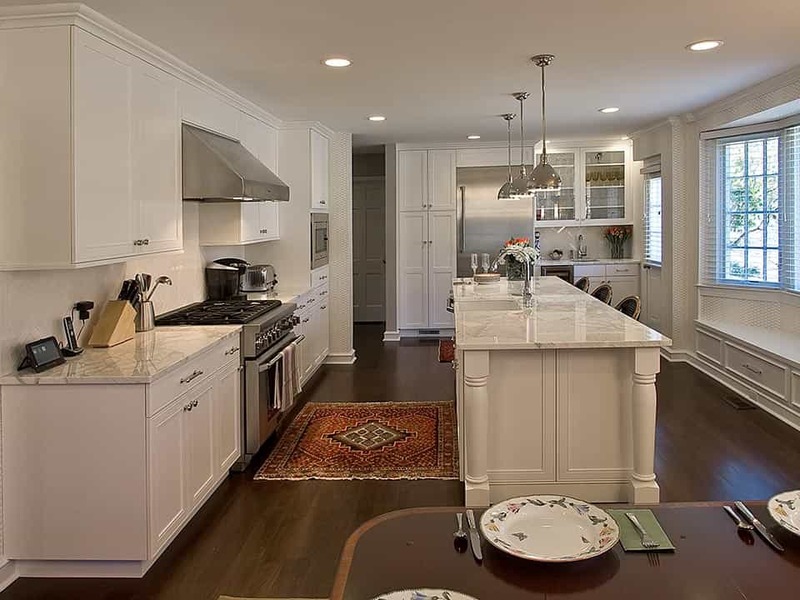 An expansive, transitional kitchen design completed in Princeton, NJ. Call us today, or visit our 3,000 square foot showroom. Our showroom is not far from West Windsor and Washington Crossing, NJ. We have over 25 new displays for you to get the look and feel of any of the designs you could be considering. Our displays range from traditional to modern with many design options for your remodeling or new custom project. Our team of kitchen designs professionals will be on hand to guide you from idea to installation. 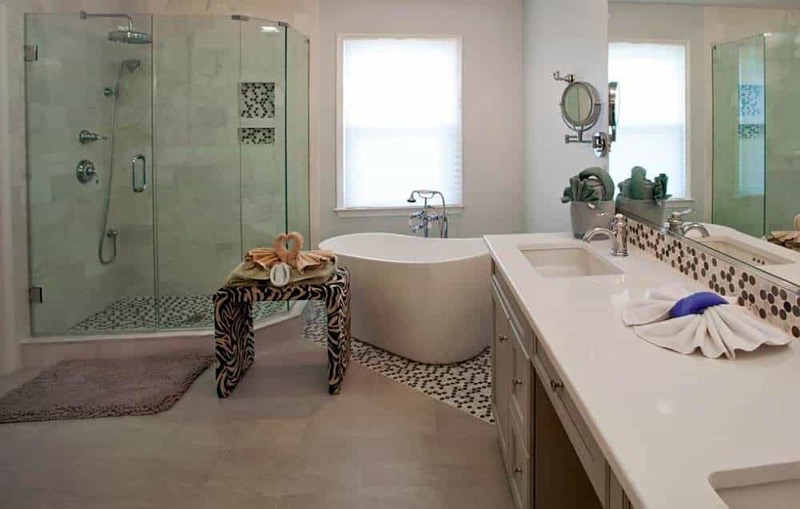 A new kitchen or bathroom starts with design that matches your budget, your priorities, your style, and your home. It all begins with a conversation about what you want to improve, and what we can do for you. You don’t think your kitchen is large enough for an island? Let our designers show you how that may be possible. Worried that everything might be out of reach or you don’t want to hurt yourself trying to reach a pot at the back of a cabinet? 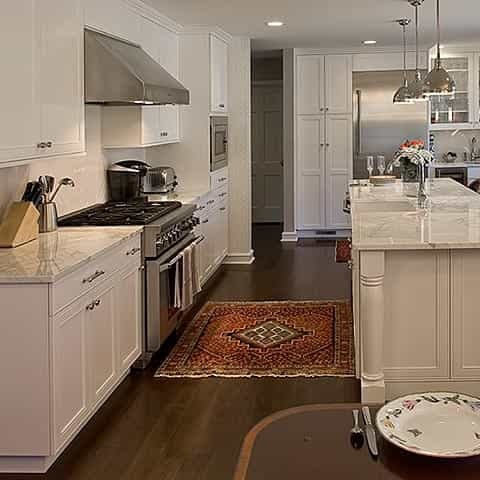 Our designers are experts with custom cabinetry and appliances to make spaces more efficient and convenient. 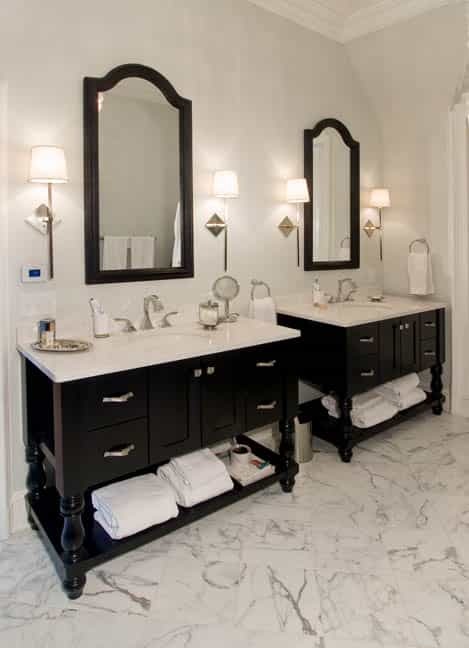 Check out our Custom Cabinetry gallery for more information. Some of our featured designs have been installed in many Bucks County communities, such as Yardley, PA, Newtown, PA, Washington Crossing, NJ, and the surrounding communities. We are just a few minutes from Cranbury, Hamilton, Princeton NJ and Princeton Junction, NJ and surrounding areas. Our central location makes it a short drive to experience the stunning displays we have incorporated into our showroom. Seeing the real thing in person is the best way to visualize your new kitchen or bathroom. Don’t have the time today? Check out our virtual tour of the showroom here on the website. Kitchen and bathroom design projects can vary greatly. 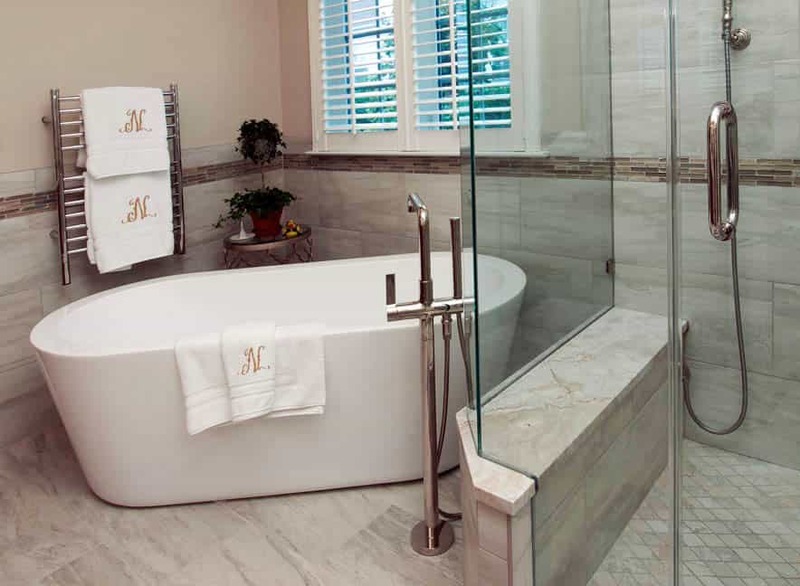 Beco Design is here to simplify the process of your kitchen or bathroom remodeling project. The scale of your project or the style of your home is not as important as the design of your new kitchen or bathroom. We will find solutions that make sense for your space, and create value that you can see and feel. 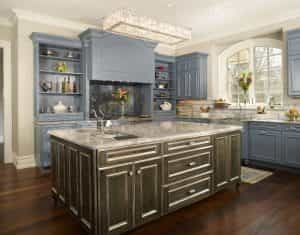 Cabinets and islands are the focal point of any kitchen and the variety of kitchen cabinets and countertops found in our showroom will give you your dream look. The multiple designs of cabinets we have displayed will assist you in making the right choices for your kitchen or bathroom. We offer furniture grade kitchen and bathroom cabinets, artfully finished with beautiful textures and tonal qualities. Beco’s kitchen and bathroom cabinets are distinguished by our superior craftsmanship and attention to fine detail. Stylish and affordable Kitchens and Bathroom. If you are in New Jersey and near Cranbury NJ, Lawrenceville NJ, Pennington NJ, Princeton NJ, or Windsor NJ, you must stop by and see the magnificent handy work of our master craftsman in our 3000 square foot showroom. 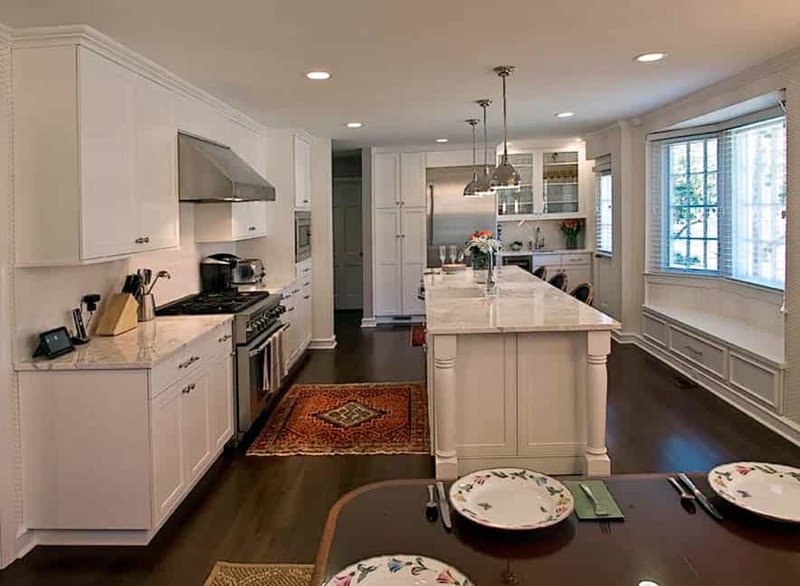 Our staff consists of master craftsmen who will build your dream kitchen and bath. See our testimonials from satisfied homeowners in Cranbury NJ, Hamilton NJ, Princeton NJ, Princeton Junction NJ, Lawrenceville NJ, Pennington NJ, West Windsor NJ, Yardley PA, Newtown PA, Washington Crossing PA, and surrounding areas. Our over 60 years of business experience will help you make the right choices, not only for cabinet designs and kitchen island placement, but for flooring, countertops, backsplashes and appliances, to give you the best kitchen or bathroom you could ever imagine for your home.